The area of Bonita Farms is located off of West Terry Street in Bonita Springs, Florida. 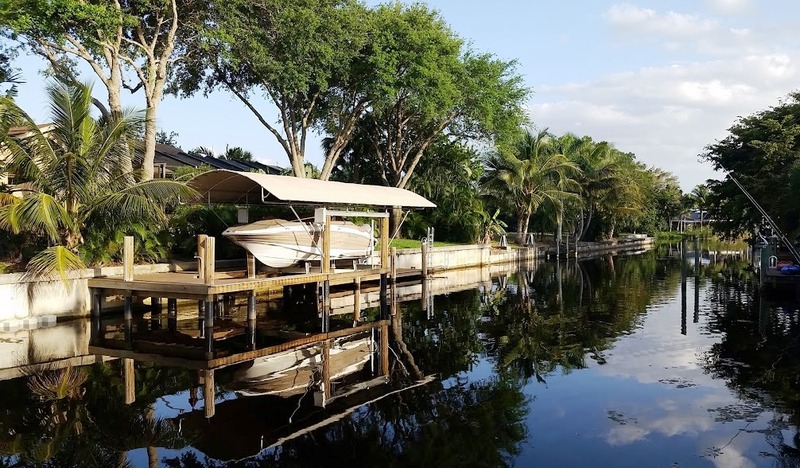 most of the homes are waterfront, on canals or on the Imperial River and offer gulf access. Needless to say, Bonita Farms is a popular boating area and for people who fish for sport. While the area is called Bonita Farms there are no longer farms in the area and it isn't even zoned for livestock. From most homes in the Bonita Farms area there is about a 30 minute idle down the Imperial River before reaching the bay and getting up on plane. It's a fun relaxing trip and the homes in Bonita Farms and Bonita Bay that line the Imperial River are great to look at. Those who enjoy paddle boarding, canoeing and kayaking find a good time on the Imperial River. At the end of the river the Great Calusa Blueway also dots it's way through the mangroves and around the bay. Homes in Bonita Farms that offer gulf access vary in price depending upon age of the home, location and condition of the home. Vacant lots are still available and they're priced depending upon canal width, water depth and proximity on the river. Naturally, river front homes and lots command higher prices than canal, gulf access homes and lots. To learn more about Bonita Farms call or text Chris Griffith at 239-273-7430. Neighborhoods similar to and located near Bonita Farms and Gull Haven include Heitmans, Brendan Cove, Serrano and Paradise Village.